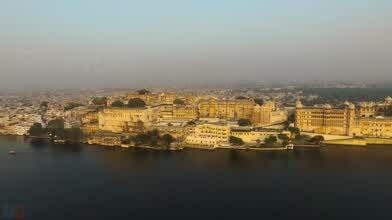 Description: Enjoy this beautiful video of Smart City Udaipur. Special thanks to Mr. Rohit Gupta (Collector of Udaipur), for allowing us to contribute our skills for the smart city project. We also thank tourism department, forest department, udaipurblog and all the people who have provided us the support directly or indirectly. We are sure that this video will help Udaipur in its smart city project and it will be useful in promoting the city as well. Our dream is to shoot aerial videos of all the tourist places and contribute in the growth of tourism. India has rich history, monuments and some amazing events which can be documented in aerial videos. If you have contacts in administration or government of your city or state then you can help our project by providing us the permissions to shoot at various places across India. We are expecting support from local authorities by giving permissions to shoot in their respective cities. Our content can help those cities to promote themselves on international level and this can contribute in the growth of tourism. In our next schedule we are planning to shoot at varanasi, haridwar, jaipur, allahabad, bhopal etc. This is the only official version of the video. Any use of the video in full or part of it without written consent is strictly forbidden. © 2016 PixelDo Media Pvt. Ltd. Write to Hello@PixelDo.Com for queries. Music : "Royalty Free Music from Bensound"